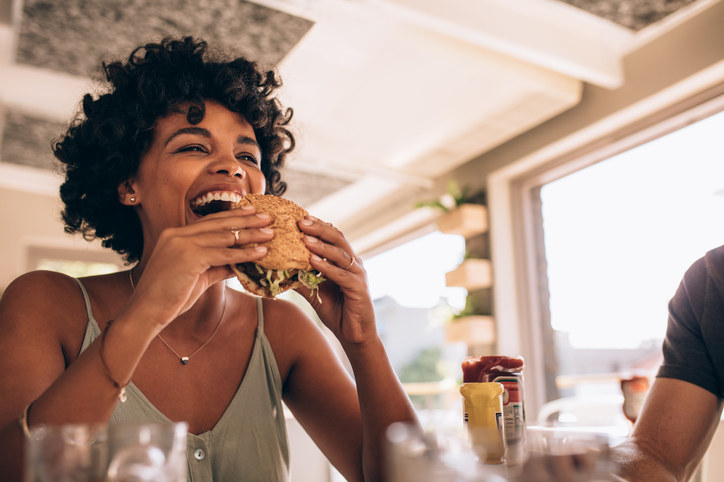 Slower eating is associated with several health benefits, but doing so can feel challenging when you're hungry and ready to devour your entire meal in three bites. Eating slowly can help you feel fuller faster by helping you tune into your body's satiety signals. It also contributes to digestive health, and generally leads to a greater appreciation for the food you're consuming. But how do you learn to slow down when you're used to the instant gratification of meals finished in a single moment? Here, we've outlined 12 ways to help you take your time and establish a more mindful relationship with your food. 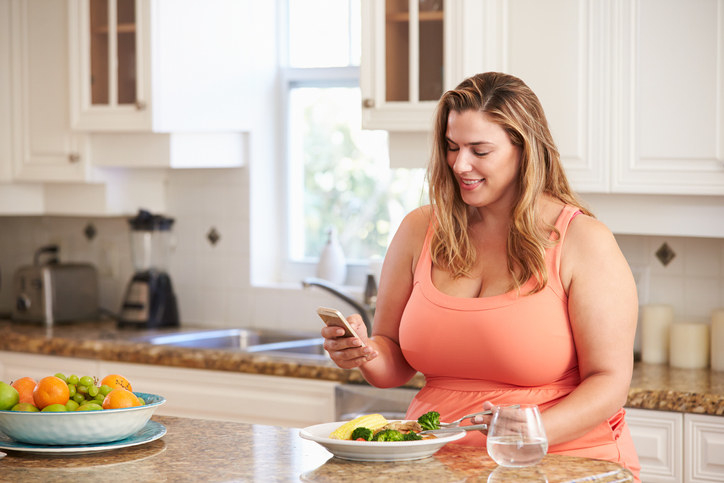 Remember that all of these strategies might feel awkward the first few times, but the effort-result loop of slower eating should eventually make this a habit you'll naturally want to stick to. 1. Chew every single bite of food 40 times. Forty chews may sound like overkill if you're chomping down on something like toast or a piece of lettuce, but you can always adjust as you go. The idea is to completely mash your food into a lump-free pulp, and maybe add a few extra chews for good measure. 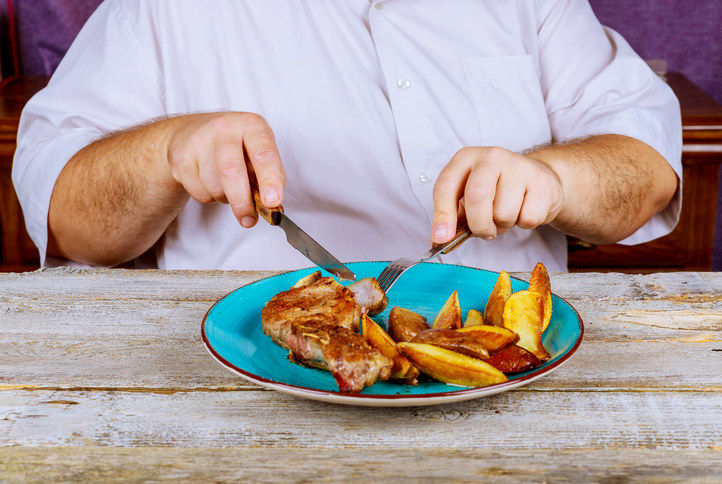 According to one study published in the American Journal of Clinical Nutrition, both lean and obese subjects ingested less food when they chewed their bites of food 40 times, compared to when they chewed them just 15 times. 2. Put your utensils down between bites. If you're the type of person who hovers their fork over their plates during the entire meal, you're setting yourself up for a hurried meal. Put your fork down between bites and let yourself relax into every bite. 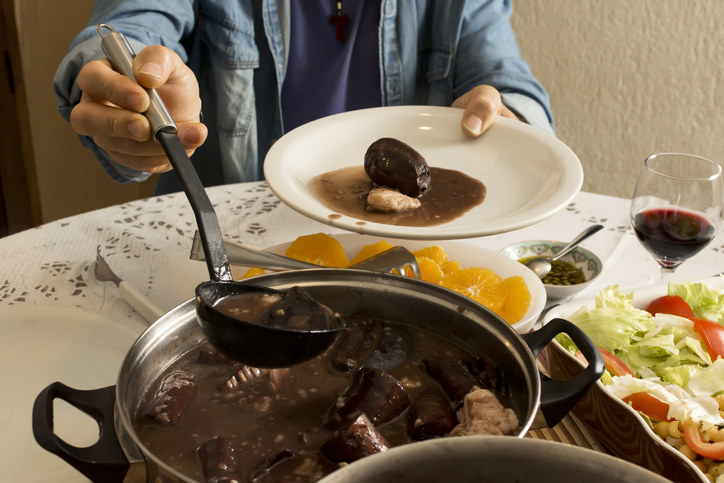 One quick way of nailing down a slow eating pace is simply by eating with another slow eater. Take a forkful when they take another forkful of food, rest when they rest, and watch as you easily extend your meal over a solid 30-45 minutes. 4. Chew with the non-dominant side of your mouth. Just like everyone has a dominant hand and a dominant foot, most people also have a dominant chewing side. At your next meal, try chewing on the opposite side. You'll both become more conscious of it and slower at it. 5. Or eat with your non-dominant hand. You may feel a bit clumsy gripping your fork with your non-dominant hand at first, but once get the hang of aiming food into your mouth, you'll appreciate the slow and thoughtful pace it forces upon you. Just don't cheat. 6. Call someone up while you eat. Slow down your eating by engaging your mouth in another activity: talking. Eat with a friend or simply call someone up. Since you'll be talking (and ideally being mindful about not talking and eating at the same time), you'll be less likely to shove forkfuls of food into your mouth. 7. Eat at a table instead of your bed or a sofa. When your body is upright and not scrunched up or laying horizontally on a sofa, it digests food at a faster pace and prevents acid reflux. What's more, positioning yourself on a hard chair and in front of a piece of furniture designed for the specific purpose of cradling your dish will encourage you to zone in on your meal and be more mindful about what you're putting in your mouth. 8. Set an intention at the beginning of every meal. Before your next meal, try telling yourself, out loud, "I will chew every bite of food X amount of times" or "During this meal I will chew my food more slowly." You'd be surprised by how speaking a goal into the void will make future you feel more accountable. 9. Help yourself to two or three smaller portions at a time instead of one large one. You'll feel less urgency to eat your food "while it's still hot" and may feel more inspired to truly savor whatever small amount you've got in front of you. 10. Drink a sip of water between bites. 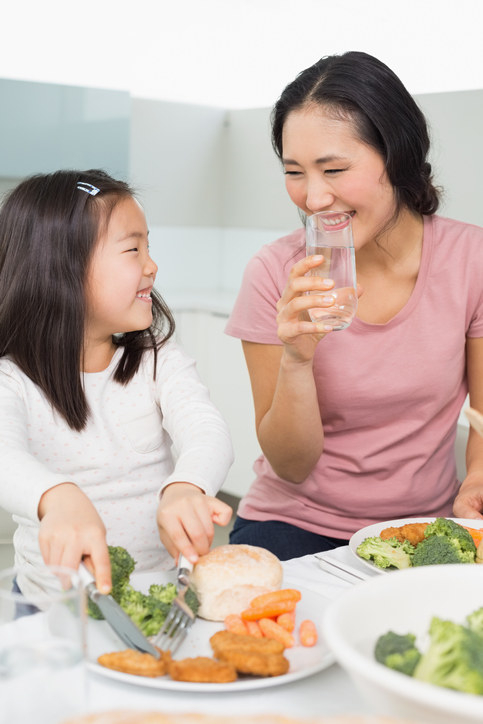 Drinking water (or wine or tea if you want to shake things up) between bites could not only help you pace your consumption, it might also prevent you from overeating by helping you feel full before your stomach's "full" signals actually kick in. 11. Set the mood for a slow-paced meal with candles and mellow music. 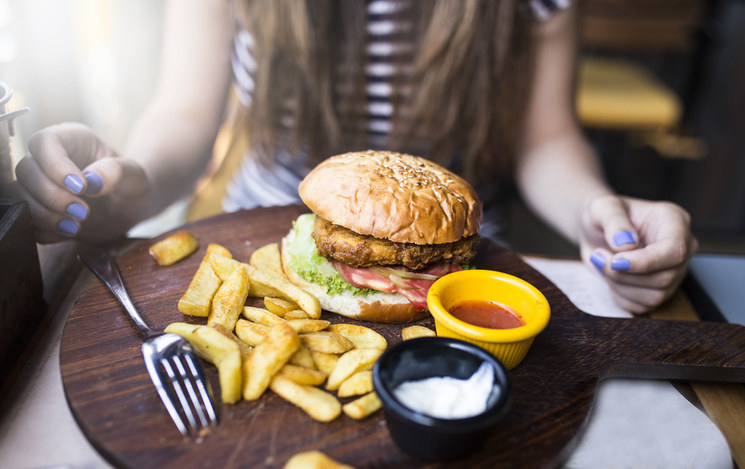 If your room has bright, fluorescent lighting and is littered with dirty clothes, you'll be more likely to chow through your food to "escape" your environment. But if you arrange a few candles, dim your lighting, and set your table with napkins, cutlery, and a properly laid out plate of food, you'll probably feel more inclined to slow down and truly savor the meal. 12. Smell your food, both before and while you chew. And while you're at it, try and engage all your senses when you eat. Look at your food, smell it as it enters your mouth, listen to how it sounds as you chew it, feel its chewy or mushy texture, ask it about its hopes and dreams, and fully appreciate the incredibly visceral and beautiful experience that is eating food.